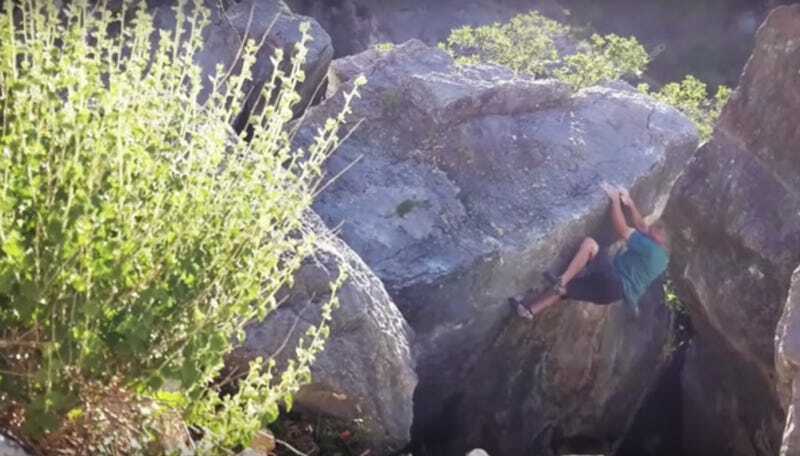 Earlier this year, climber Brian Koralewski was working on a V6 problem in Little Rock Canyon, Utah, near Provo. The route he climbed was an established one, as several climbers have posted videos of themselves sending it in recent years. However, right as Koralewski was going to finish his climb, a huge blocky chunk of the rock suddenly broke off and fell on him. He was able to hike out, although he sustained heavy leg injuries. Koralewski wrote about the fall and his injuries, which thankfully were confined to his lower leg. He broke his fibula, suffered a partial tear to a major leg tendon, and got a nasty gash that required stitches. The rock that Koralewski was climbing on is a 1/4 mile walk from the trailhead, and he said it took him 25 minutes to make the hike, before he drove himself to the hospital. He posted several (very gruesome!) photos and chronicled his recovery, which has now progressed to the point that he’s climbing again.